In the beginning, I was enjoying the Rio Olympics: none of your Premier League football primadonnas demanding obscene wages; just ordinary self-effacing folk competing in sports more commonly ignored by the media. 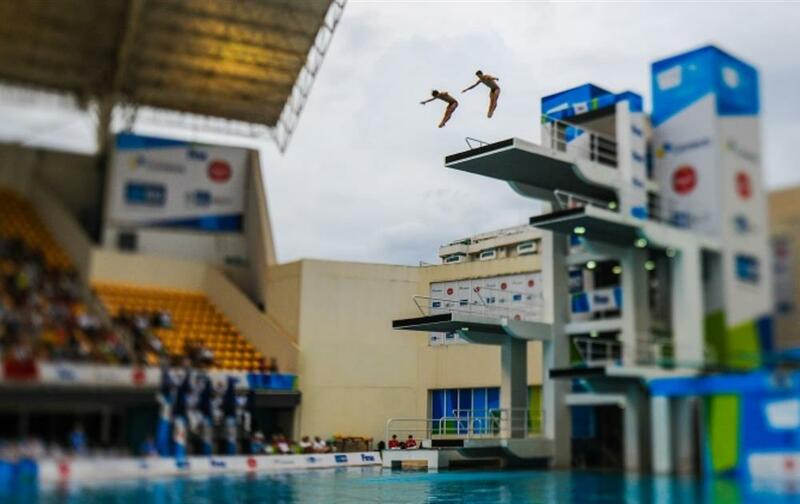 It’s been a breath of fresh air to watch outdoor diving (probably my favourite event) against a backdrop of the metropolis of Rio de Janeiro, the intrusion of emergency sirens a reminder that this is theatre, after all, real and yet not real. But as the medal tally for Team GB mounts (and the uninvited alerts on my phone app come in thick and fast, presuming to trigger a patriotic response that seems increasingly required), something has shifted for me, amid the achievement and adulation. As the parade of perfectly-honed young bodies, focussed minds, golden couples and extended, specialist support teams grows, I’m left wondering about who and what we value and why. Let’s get one thing straight: this isn’t about questioning the achievements of Olympic athletes, of all nations and none. They are undoubtedly impressive. Instead it’s about asking why our notion of achievement seems so narrowly defined. The ‘league table’ of all-time British gold medal winners, as featured by BBC Sport yesterday, makes it explicit: five of the top six medal winners are Sirs. Indeed, so well-trodden is the medal-winning route to royal recognition that, with a slip of the tongue, presenter Clare Balding, accidently made the talented cyclist Laura Trott a Dame at 24 years-old. Of course, I work in the arts and I would love to see media coverage of creativity and cultural experience come anywhere near the level enjoyed by sport. I’d love to see public celebration of artistic achievement in the same way that athletes at the top of their game are celebrated. And if we’re talking about who and what we value then we have to talk about money. Unlike the bloated world of Premier League football or the higher echelons of tennis, UK Olympic sport shares with UK arts and culture a reliance on public funding, particularly from the National Lottery. Public funding for elite sport was increased fourfold when the right to host London 2012 was won. It’s an investment that has clearly paid dividends. And thanks to more number crunching, we now know the exact price of a medal of any colour for Team GB in Rio 2016: at the time of writing it stands at £5.5m. But what is the value of that medal costing £5.5m? What is the value to individuals outside the athlete’s immediate circle, the value that justifies the funding and the celebration? What is the value to society? And why aren’t more people asking? Day in and day out in the arts (and other sectors too), we’re asked to measure, to prove value (bear with me here, this isn’t, or isn’t only, a rant for the arts). And because measuring value is inherently difficult we try to talk about impact instead. 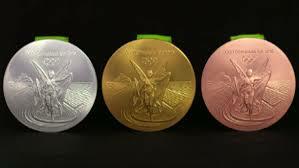 It’s easy to count medals and perhaps that’s the secret of elite sport’s apparent funding success. It’s relatively easy, too, to count bums on seats at a play, visitors to an art gallery or participants in a festival. But we’re still not getting anywhere near to an understanding of, or a way of articulating value: value to others, value to society, value to self. As creative freelancer, every single day, almost every hour in fact, I’m weighing up what I’m doing against what someone is prepared to pay for it (often not much). But I digress. This really isn’t about me. At least I don’t think it is. Winning events, winning medals. It all takes hard work, perseverance and sacrifice. Undoubtedly it inspires others and creates a sense of national pride. It deserves to be celebrated. And yet it seems a simplistic and reductive way of thinking about human achievement. It’s a wider, more social question than simply sport versus (for example) art. Is the dedication of an athlete more valuable, more worthy of celebration, than the dedication of an outstanding carer of others, an extraordinary teacher or a volunteer giving time to make the world a better place? Is sporting triumph a greater achievement than devotion to others, or overcoming personal trauma, or learning to live with adversity? The trials and possibilities for us as human beings are surely far richer, in all their messy, uncomfortable complexity, than the Olympic media circus would have us believe. They’re unsanitised, difficult, far less easily packaged. But no less triumphant. As we rightly enjoy the glow of sporting success, what million other stories of dedication and hard work, adversity and heroism, remain untold? At the tip of a precipitous platform above Rio, a diver prepares herself. As the sirens scream past the Olympic diving centre, my attention falters. I wonder who is in the ambulance. Copyright: Claire Gulliver (2016). May be reproduced for non-commercial purposes only, provided that credit is given. Hi Claire, as someone who loves sport and the arts, I don’t see them as being in competition with one another. To me they have the same function in society – to entertain us, to move us, to divert us, to inspire us, to enlighten us on human nature; as such they deserve to be celebrated equally. And the arts are celebrated. You talk about the proliferation of sporting sirs and dames – what about the sirs and dames in the acting industry, for instance (and these days the music industry too)? As well as actors, there are plenty of musicians, writers, artists and designers whose work and achievements are also rightly publicly celebrated, and plenty of them enjoy deserved fame and financial rewards. As for whether public achievement or sporting triumph has more or less value than private everyday endeavour or other professions, such a comparison is fatuous. Sport is a unifier; it brings people and nations together and creates a shared cultural and emotional experience. Therefore the impact of sport on the national consciousness is bigger, and thus creates a greater resonance, but this should not be taken as a devaluing of any other aspect of human achievement. Particularly as many of these sporting greats who are being lauded relied on those selfless inspiring teachers and sports club volunteers to help them on their way to Olympic glory. As for those million other stories of adversity and heroism that remain untold, George Eliot famously summed it up best in the final lines of her great novel ‘Middlemarch’: “the growing good of the world is partly dependent on unhistoric acts; and that things are not so ill with you and me as they might have been, is half owing to the number who lived faithfully a hidden life, and rest in unvisited tombs”. Thanks for your comment on my blog. I would certainly agree with you about some of the important similarities between sport and the arts. And yes, there are Dames and Sirs in the arts too. It would be interesting sometime to look at lists of winners of arts prizes such as the BAFTAs, The Turner Prize, the Booker Prize, etc, and to see how many of these are Sirs and Dames. I would guess that it’s less, and perhaps that’s simply because it is much harder to define the pinnacle of achievement in creativity: all of these awards are subjectively determined, open to discussion and debate. However, there’s nothing subjective about a gold medal in sport. But in fact, I probably shouldn’t have used the honours system as an illustration – I’m no particular fan of it actually, although I suppose there may be some benefits. And thank you in particular for reminding me of those wonderful George Eliot lines! Of course she manages to say so eloquently in a couple of lines what I was trying to say in a whole load of meandering brain dumping!